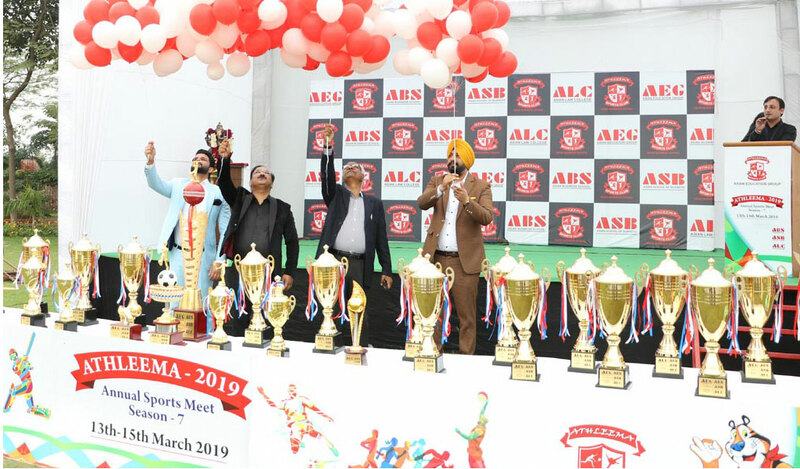 Asian Business School / Campus Updates / AEG Asian Business School’s 7th annual sports meet, ATHLEEMA 2019 witnesses a grand inauguration! 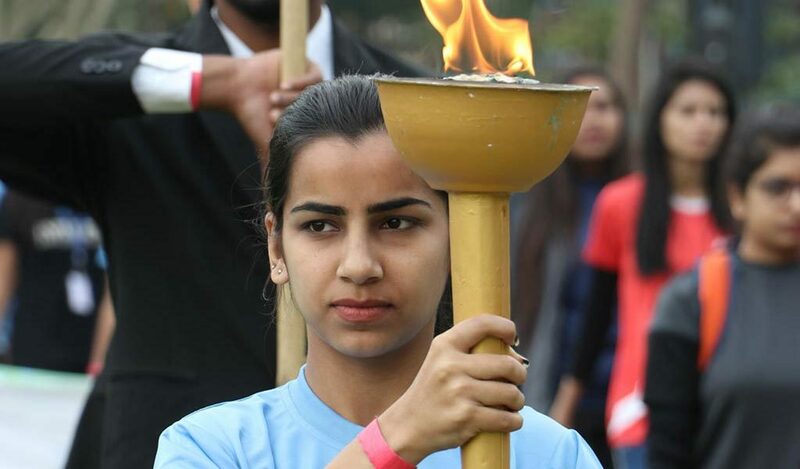 The sports meet started with a contagious zest among the participants and spectators. The opening ceremony commenced with the torch-lighting ceremony, ignited by the respected Directors of AEG. This marked the permission for the march-past. 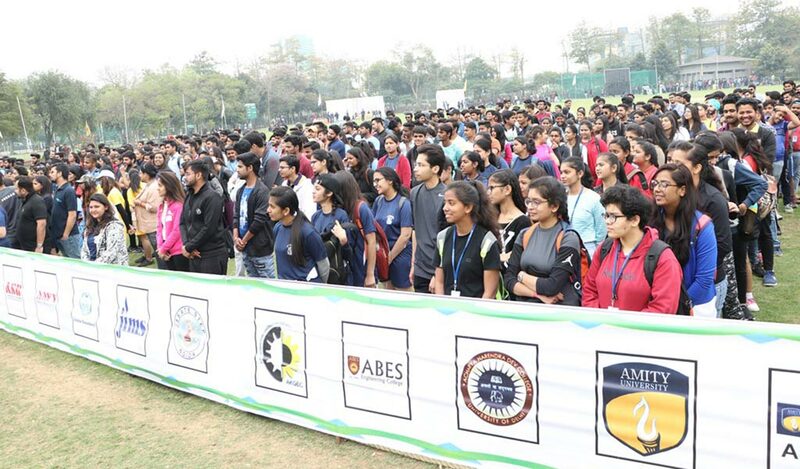 An impressive line-up of some 35 participating colleges showed their co-ordination, spirit and a strive for perfection. 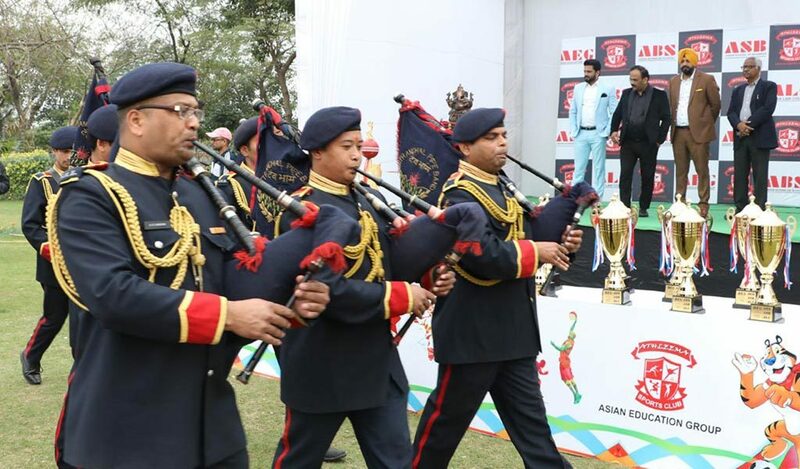 This included Asian Business School along with the three constituent group colleges of Asian Education Group – namely, Asian School of Business (ASB) & Asian Law College (ALC) – which actively participated in this high-pitch athletics’ meet.